Looking for a garden centre near Longford? Garden owners in the county love our garden centre near Longford. 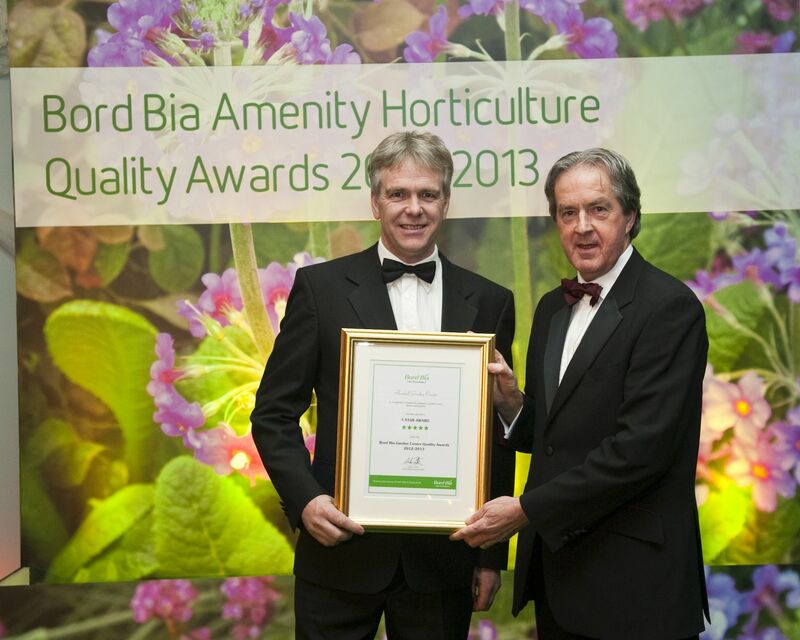 Over the past 32 years, Fernhill Garden Centre has developed the reputation of the most reliable place for both starting out and expert gardeners in the county. We are loved for the variety of merchandise in our nursery as well as the quality of our plants and products. For many avid gardeners and for those who are simply looking for a great day out, Fernhill Garden Centre is the location of choice in the town of Longford and the wider County Longford. Independently owned by the Reid family, Fernhill has a rich history of offering amazing quality plants, garden furniture, garden landscaping services and gardening supplies to the people of Longford. 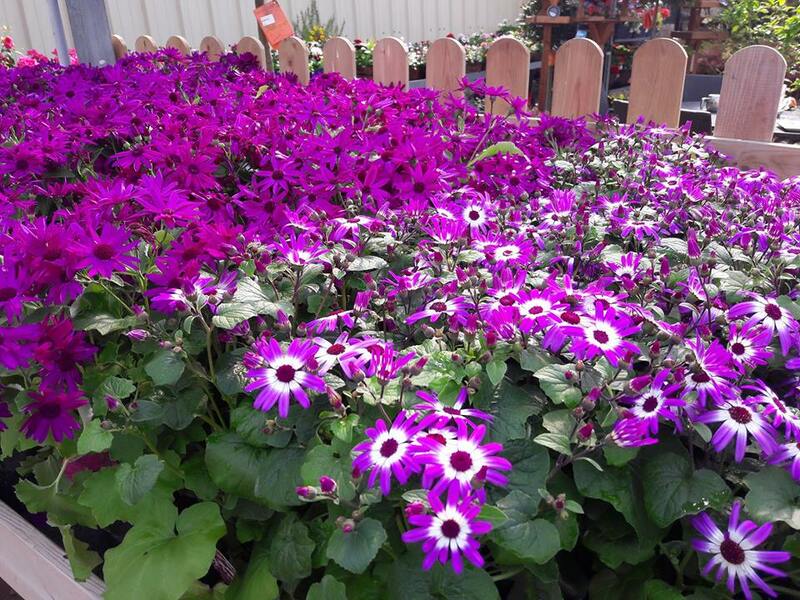 With horticulture and retail excellence rooted at its core, Fernhill Garden Centre is the place to go to find everything that your home and garden needs. Customer satisfaction can only be achieved by giving customers what they want. In the gardening industry, where a huge variety of items play their role in making a beautiful garden, this means an extraordinary variety of products. If a garden centre does not have even a few of the important gardening essentials, a drive to it is a waste of time. 1977 was the year that Fernhill Garden Centre was born, and in the last decade or so the site has grown from strength to strength. Fernhill is dedicated to offering the community of Longford and surrounding areas the top quality plants and produce that has given us such a strong reputation amongst garden centres in Ireland. After one visit to the centre, you'll see first hand why shopping at our centre is the best place for gardening inspiration, knowledge and products. The combination of these three excellencies makes Fernhill the best place to visit for your home and garden supplies in the Longford area, whilst also making some new friends along the way. Perennials: These beautiful repeat-blooming plants give flowers in many colours and grow very easily. Adored by British gardeners, they have a special in our hearts and our nursery. Common examples: Goldenrod, Little Carlow, and Mount Fuji. Annuals: These plants bloom once in their season and wither away the next, but they give gorgeous flowers that are loved in Britain. We have these available for all seasons so you can plan the whole year ahead easily. Common examples: Daisies, Poppies, and Cosmos Purity. Bulbs: The most popular type of geophytes, bulbs are generally the most loved kind of plants, thanks to their amazing variety in flowering colours, fragrances, and other distinct qualities. They grow in all seasons as well. Common examples of bulbs near Longford include Hyacinths, Daffodils, and Tulips. Cut Flowers: We also use cut flowers to make beautiful bouquets near Longford. Our cut flowers near Longford make smart bouquets for all occasions - a thoughtful present for every meeting. Container Plants: Potted plants near Longford allow you to take the greenery on to your patio and driveways. You can use themes with container plants near Longford and design your walkways and patio in a pattern. Houseplants: Similarly, great houseplants near Longford are easy to get now. These indoor plants near Longford allow you to take nature straight into your rooms. Decorate your indoors with stunning cacti, ferns, orchids, and many more. Fruits: We also keep a number of fruit plants near Longford in our stock, including apples, peaches, and melons. If they are in season, they are available at Fernhill Garden Centre. Vegetables: With that, we also have vegetable plants of the season always available in our stock. In fact, you will find the freshest vegetable plants near Longford in our garden centre. Trees & Shrubs: In contrast with plants, we have grown trees and shrubs in the stock as well. Ornamental trees, architectural shrubs, those for shades, and berries are the most popular types of trees and shrubs near Longford that customers ask us about. Herbs: Herbs near Longford are also easy to get at Fernhill Garden Centre. We grow our own herbs popular for their skincare and health related uses. You can also request us to grow special herbs for you. Climbers: Our climbers near Longford come in many names and forms. From roses to vines, we have them all. They add a wild look to the beauty of your garden and decorate your walls and garden pergolas all around. Roses: We maintain an enviable display of roses near Longford with all the popular colours (red, blue, pink, etc. ), flower types (tea roses, hybrids, English, etc. ), and plant types (groundcover, ramblers, climbers, etc.). Plant Containers: Container plants near Longford make for the perfect excuse to take the nature out of the garden and into other parts of your house. We have a large collection of plant containers near Longford, varying in materials, sizes, and shapes. You can get terracotta pots and paint them with contrasting - or similar - shapes and colours to give your arrangements beautiful themes. On the other hand, you can get cast-metal plant containers in our garden centre near Longford and use the dull, dark tones to create a theme of their own. Clothing: In the world of a gardener, there is no such thing as bad weather − only the wrong clothes. We have a large stock of specialised clothing for gardeners near Longford. These items include outer layers (wax jackets with practical pockets, trench coats for windy and rainy weather, and more), proper footwear (willies, sturdy lace-up or leather boots), and a variety of gloves and head gear. Soil & Fertilisers: Choosing the right soil and fertilisers for your plants is crucial for their timely growth and health. Since we are avid gardeners ourselves, we understand the importance of the right soil and the perfect fertiliser for a plant’s progress. So, we have available the perfect topsoil near Longford, multipurpose and specialist composts, soil improvers, and top-of-the-line organic fertilisers near Longford. Gardening Tools: For the same reason, we understand the significance of the right set of garden tools as well. This is why we stock a huge inventory of gardening tools near Longford. From your basic rakes, hoes and spades to extended telescopic handles for your shears, we have everything in our stock to help you work in the garden. Pest Control: Pest control is a necessary regimen for gardeners. When you grow plants, vegetables, flowers, or even grass, pests consider it open season. We have a number of controls for this problem, including sprays for larvae and eggs, barriers and fences for caterpillars and the like, and organic deterrents to help you get rid of all kinds of vermin. Our products for pest control near Longford are very effective and have satisfied numerous customers. Garden Protection: While you can fight off pests, you cannot hide away your plants from unfriendly weather. On the contrary, that is exactly what you do when rainy season comes. We offer a number of kinds of garden protection near Longford, like cloches, to keep your vulnerable plots safe from unwanted water and elements. Watering Equipment: One of the main sources of nutrition for most plants is water. Good irrigation and regular feeding is crucial for plants to grow. We have many kinds of watering cans and automatic sprinkler systems available for your garden so you never miss out on giving your plants the right amount of water at the right time. Garden Machinery: We have many kinds of power tools near Longford available in our nursery, each dedicated to serve an important purpose in the garden. We have electricity-powered and petrol-based garden machinery in our stock, including lawnmowers, chainsaws, brush-cutters, etc. Hard Landscaping: We offer hard landscaping near Longford so you can give your garden a proper layout and setting. Our products and services include fencing (several materials and designs), eating decks for your garden, buildings like log cabins, and arches. Outdoor Cooking: Our display of products for outdoor cooking near Longford is packed with options for large-unit complete kitchens, big barbecues, compact barbecues, and versatile firepits. Have the perfect summer lunch with friends and family in the garden with our top-of-the-line garden cooking equipment. Garden Furniture: When you have guests coming over for afternoon tea or a barbecue party, you need decent furniture for your garden. Our collection of garden furniture near Longford is growing, but we already have some of the favourites of the town’s garden owners, including bistro sets, duets, weave sofa sets, outdoor bean bags, and much more. Gift Shop: Our gardening gift shop near Longford is filled with wonderful presents that you can give to family or friends who keep the hobby. Furthermore, we have gift vouchers that you can give to picky friends so they can buy their gift themselves. Pet Care: We love pets, and we know keeping them healthy and rested is important. This is why we have a big stock of petcare products in our garden centre near Longford, including cat beds, bird feeders, and aquarium decor, etc. Fernhill Garden Centre is a proud business of high-quality products. For the last three decades, we have been helping people in the county maintain their healthy hobby and bringing more and more people to it. Gardening is wonderful in every way - for the environment, for the plant, and for the gardener. The management of our garden centre near Longford takes pride in being a committed partner for so many gardeners in their journey. We offer an extensive range of gardening products, at competitive rates. Our aim is to offer absolutely everything you're going to need to get your garden in tip-top shape for the season ahead, without damaging your pocket. 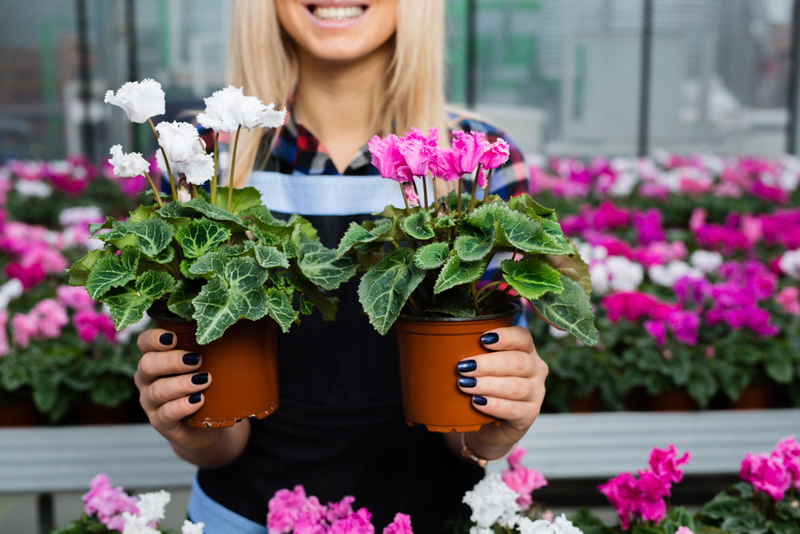 Expect to be wowed by our extensive range of top-quality indoor and outdoor plants, as well as a full variety of homeware, garden furniture, seeds and bulbs, paving, grow your own essentials, garden tools and more. The products we offer in our nursery and shops are tested and trusted. We only include top-quality brands and manufacturers in our stock and aim to deliver the best to our customers. To top it all off, we have a delivery service all across Ireland so you can get your merchandise to your doorstep without a worry. You'll find a full list of our gardening products on our website and if you can't find what you're looking for, just give us a call, we'd love to help! Our experts are always available in the garden centre. Whenever you visit us, you can ask them any questions you might have about your garden, growing your skills as a gardener, trying new things in the plot, finding the ideal items for your garden, or any other related matter. Amongst everything you would want to see at a garden centre in Longford, Fernhill also offers full-service garden design and landscaping. You can find more information about our landscaping services on our website, but if you have any questions you'd like to speak to someone about, just visit us in store and one of our friendly team will be happy to help. Visit our garden centre near Longford very soon to get all your gardening essentials from the best.